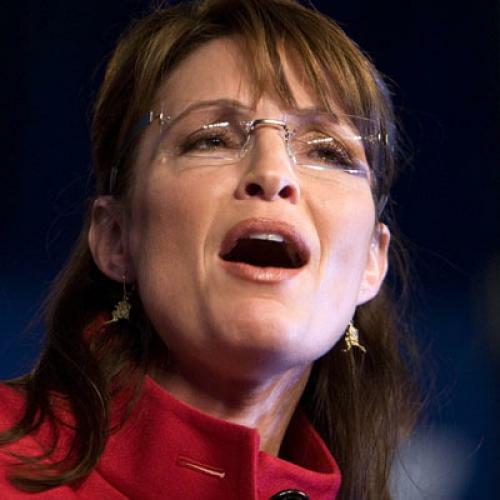 Wasilla, Alaska, is currently the most famous small town in America, thanks to its former mayor Sarah Palin. A healthy part of her appeal is that she seems to embody small-town values, nurtured in Wasilla and America's other hamlets and burgs. As she said in her firecracker acceptance speech, small-town people live lives of "honesty, sincerity, and dignity" and "do some of the hardest work in America." Palin was tapping into a widespread belief that small-town America represents the country at large. In April 2008, as the Democratic primary contest ground through Pennsylvania, Gerald Seib of The Wall Street Journal declared that "Rural and small-town voters are the best indicators of whether a candidate is connecting with the values of Middle America. 'They are America,' says Peter Hart, a Democratic pollster. ... 'If you can speak to [them], then you relate to the rest of America.'" But the idea that we are a nation of small towns is fundamentally incorrect. The real America isn't found in cities or suburbs or small towns, but in the metropolitan areas or "metros" that bring all these places into economic and social union. Palin's positioning may appeal to a certain nostalgia that Americans have about small-town life, but the Manichean dichotomy of city versus small town (not to mention "urban" candidate versus "rural" one) no longer describes the radically connected and interdependent way Americans live and work. America's small-town romance has a long, distinguished history, which perhaps explains why it has outlived its accuracy by at least 100 years. Thomas Jefferson was our nation's most influential exponent of the idea that cities are un-American. "I view the great cities as pestilential to the morals, the health and the liberties of man," he said. But the 1910 census was the last one in which rural Americans represented a majority of the population; these days, we've become a thoroughly metropolitan nation. Two-thirds of our population lives in the top 100 metropolitan areas, and 84 percent of Americans live in all 363 metros. Being in a metro means being tied to someplace else; the Census Bureau defines metropolitan areas as a city of 50,000 or more, plus the adjacent counties that have close social and economic ties to the urban core. In metros, unlike mythical small towns, no place is self-contained or splendidly independent. Metros are tied together by highways and rail lines, and people cross local boundaries and state lines every day to shop, go to a doctor's office or a museum, and especially to go to work. The suburbs as a whole have more jobs than cities: Just under half of all commutes within metropolitan areas are from suburb to suburb, and only 19 percent are old- fashioned suburb-to-central-city trips. If you track commuting flows in the 14-county Chicago metropolitan region (as Brookings has done), the result looks like macaroni dumped on the map. In fact, even the "small town" of Wasilla, Alaska is fast becoming a satellite of the state's largest city. Wasilla is nestled in the Matanuska-Susitna, or Mat-Su, borough (boroughs are Alaska's equivalent of counties), and the borough is part of the Anchorage metropolitan area. Around one-third of the workers in the borough make the 50-minute commute to Anchorage to earn their living. When she's not in Juneau during the Alaska legislative session, Sarah Palin is one of those workers. More and more small towns like Wasilla are becoming part of the metro orbit. In fact, according to the Census Bureau, half of all "rural" residents live within the boundaries of a metropolitan area. (The classification of an area as "urban" or "rural" is based on population density, not the extent of economic ties to other places.) The census doesn't use the terms "exurb," or "suburb," so it's hard to know how best to describe low-density places within metros, beyond saying that these places are tied to the urban core, however much residents might object to the fact. Thinking of the United States as a nation of small towns fundamentally misunderstands our economy, which is disproportionately driven by metros. Harvard Business School professor Michael Porter, one of the world's foremost gurus on economic competitiveness, has suggested that there is no such thing as the U.S. economy, but rather a network of interlinked metropolitan economies. The top 100 metropolitan areas are home to 68 percent of America's jobs and are the origin of 75 percent of the nation's gross domestic product. Metros are economic powerhouses precisely because of the way they differ from the idealized small town. Adam Smith noted in The Wealth of Nations that "the division of labor is limited by the extent of the market" and that larger markets (like those currently found in metros) enable workers to specialize and work more efficiently. The easy flow of ideas that drives economic growth also tends to happen in metros. The largest metropolitan areas house 76 percent of "knowledge economy" jobs (such as software developers), 81 percent of R&D employment, and 67 percent of major U.S. research universities. Just six metros accounted for 64 percent of the nation's venture capital funding. It turns out that the genuine interaction of people in the same physical space is not replaceable by the Internet, telecommuting, or video conferencing. A politician who ignores this economic and demographic reality risks making serious policy mistakes, such as misdirecting the public investments that we need to survive in an era of intense global competition. For example, self-sufficient small towns don't need mass transit and high-speed rail networks, but interconnected metros do. Germany and France have already constructed fast rail connections between their major metropolitan areas, radically altering the movement of people and the facilitation of business. China is building the most sophisticated network of ports and freight hubs in the world. A nation of small towns doesn't recognize the need for these kinds of investments. People's longing for small towns is an understandable fantasy. Small towns seem like slower, saner havens in an overly connected, frenetic world, places where a blackberry is an ingredient in jam. But metros, not small towns, are where our economy is, where our population is, and where our country's future is. They may even be where our values are. Early twentieth-century sociologists wrote essay upon essay warning against the anomie and isolation of urban life when our metropolitan areas were new, loud, dirty, and frightening. But a few decades later, Jane Jacobs and Herbert Gans described the interdependence and solidarity of people in Greenwich Village and Levittown. Metros have increasingly come to symbolize connectedness--and connectedness, also expressed as a sense of community, is a powerful American value. The real lesson of metro culture is that values (like people) can't be constricted by municipal borders or labels on a map. Americans take our values with us, in high-rises, duplexes, McMansions, trailer parks, and tract home developments across the country. America is much bigger than its small towns. Jennifer Bradley is a senior research associate with, and Bruce Katz is the founding director of, the Brookings Metropolitan Policy Program.